New Girl – Season 4, Episode 14 – "New Girl" is a TV show on FOX. It stars Zooey Deschanel, Jake Johnson, Max Greenfield, Lamorne Morris, and Hannah Simone. 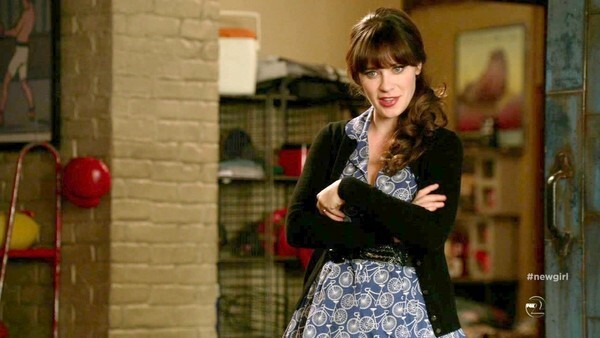 Find more news and info about "New Girl" here. Sporting her go-to retro uniform, Jess flaunted a playful bicycle-print vintage dress, which she layered with a basic black J.Crew cardigan.